Former CIA director John Brennan testified before the House Intelligence Committee on Tuesday that he was not sure if there was any evidence of collusion between the Russian government and Donald Trump’s presidential campaign. Yet Democrats are thrilled by his testimony, because he said there were contacts between Russian officials and some “U.S. persons involved in the Trump campaign,” and hence an FBI investigation was warranted. Note that there is nothing new in what Brennan said. The New York Times reported on January 19 — in a story timed to appear on Inauguration Day — that the intelligence services had “intercepted communications” between several Trump “associates” and Russian officials. (The same story said there was “no conclusive evidence of wrongdoing.”) And last week, Reuters reported that there were 18 such contacts — over seven months, less than three per month. 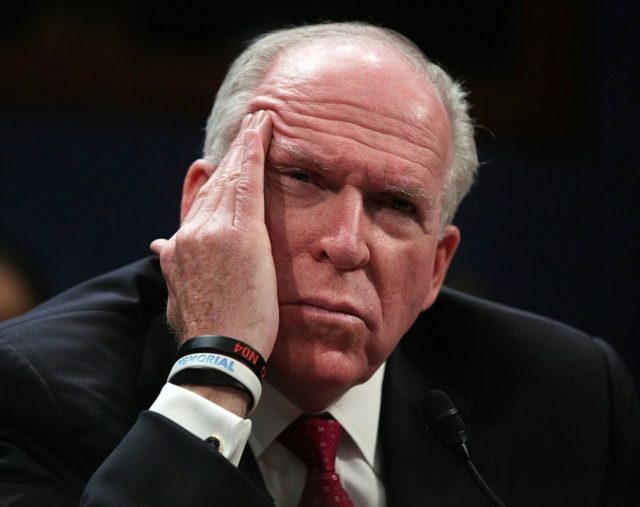 All that Brennan presented was his opinion. And it is not clear what prompted his opinion. He said he convened a group, including the FBI and NSA, to investigate possible Russian attempts to affect the election in late July 2016. What else happened in late July? Trump was joking, but the media inflated his remarks into a serious attempt to invite foreign intervention in the election. Some Democrats even accused him of treason. It is not unreasonable to wonder whether Brennan followed the liberal media down a Russian rabbit-hole, where the absence of evidence would not end his suspicions.